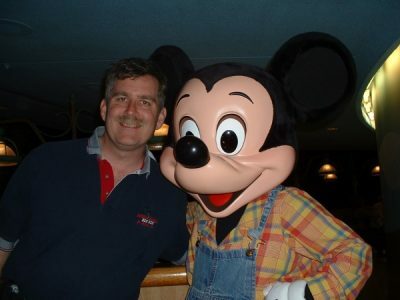 A Disney World Character Dining experience can turn a great trip into an extraordinary trip. Walt Disney World Character Dining is a must for many families. The opportunity to have a Princess visit your table (or any of the other characters) can make a great vacation extraordinary. But to enjoy a character meal, you need to plan. First, make a reservation. 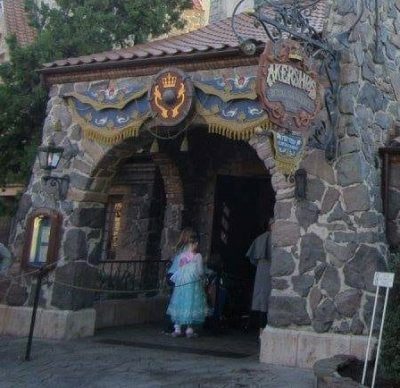 Because these are some of the fastest booked restaurants (especially Cinderella’s Royal Table in the castle) reservations are essential. 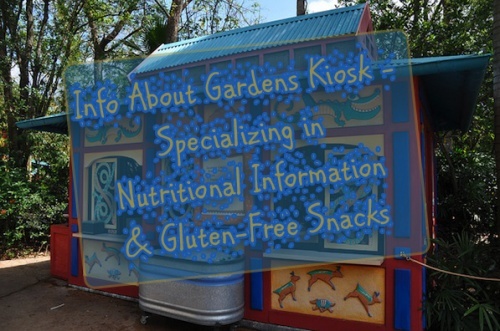 Next, Disney changes dining options often. 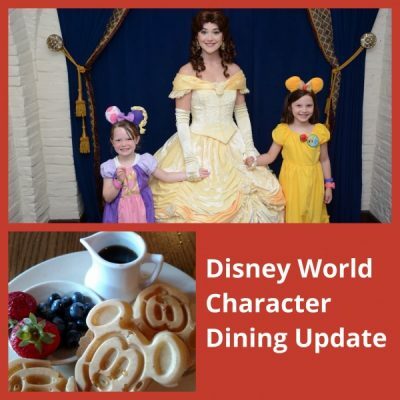 Walt Disney World Character Dining has changed several times in the last year and more changes are coming, so, make sure you check before you go. Also, you should be aware that Disney may change which characters appear at any time so under promise and over deliver for your kids. Recently Disney World Character Dining has added two new dining options. Both are located in the resort areas. The first new Disney World Character Dining option is at Disney’s Wilderness Lodge at Artist Point. The theme of the character dining experience is Snow White and the Seven Dwarfs. The spirit of the enchanted forest is created through the addition of tree branches that twinkle and dazzle. Furthermore, theming extends to the poison apple napkin rings and the small cauldrons that soup is served in. There are far fewer details for the newest Disney World Character Dining experience. Topolino’s Terrace is slated to be a new Signature table-service restaurant that is scheduled to open in the “Fall” of 2019. Topolino will be located on the roof top of Disney Riviera Resort., however, the resort is taking room reservations for dates starting in December of 2019. Although the characters are not announced, we do maybe have a clue as to who may be there is in the name of the restaurant. Topolino is the Italian name for Mickey Mouse. 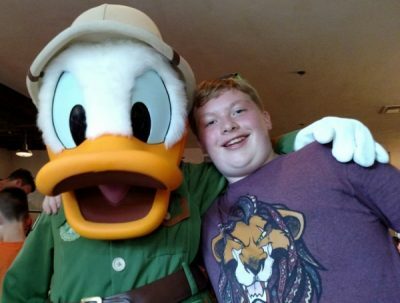 Could we see Mickey here? 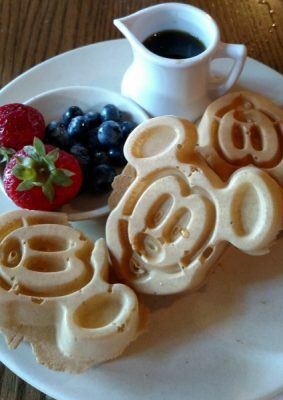 Because, the Terrace will offer great views of EPCOT and Hollywood Studios, this breakfast will be a great way to start your day. Menu Link – No link is available. The restaurant will feature Flavors of the Riviera, which would consist of both Northern Italian and Southern French cuisines. In addition, former fan favorite Mickey’s Backyard BBQ served it’s last burger on December 31st, 2018. The BBQ is now closed to make way for Reflections – A Disney Lakeside Lodge. Finally, in mid-2017 Hollywood and Vine began a lunch offering of Minnie’s Seasonal Dining. Minnie’s Seasonal Dining no longer just appears during holiday seasons, but is offered year round. Location: Disney’s Contemporary Resort, on the concourse level. Characters: Mickey Mouse, Minnie Mouse, Pluto, Donald Duck, Goofy. Hours: Breakfast 7:00 a.m. to 11:15 a.m.
Brunch 11:30 a.m. to 2:30 p.m. Hours: Breakfast 8:00 a.m. – 11:50 a.m. Hours: Dinner 4:00 p.m. to 9:00 p.m. Hours: Monday through Friday 2:00 p.m. to 3:00 p.m. Note: for children 3-12 only. Sorry Grandma. Strictly speaking this isn’t Character Dining as it is a Disney Experience. The event is designed for a 3-9 year old and a parent. Tea lasts for an hour and a half. Guests will learn Rose Petal’s story, participate in songs and 3-9 year olds will be presented with gifts and a rose. Wear your best princess dress or princely gear because the event ends with a parade through the Grand Floridian and a photo. Hours: 9:00 a.m. Not available all days. A reservation and pre-payment is required. Hours: Breakfast 7:30 a.m. to 11:00 a.m. Hours: Breakfast 7:30 a.m. to 12:05 p.m. Hours: Breakfast: Thursdays, Saturdays and some Tuesdays 7:30 a.m. to 11:00 a.m. Smiles abound at every Disney World Character Dining experience. Hours: Breakfast 8:00 a.m. – 10:15 a.m. Lunch 11:40 a.m. – 2:50 p.m.
Dinner 4:00 p.m. – 11:20 p.m.
Not every magical adventure starts on a ride. Hours: Breakfast 8:00 a.m. -11:45 a.m. Lunch 11:30 a.m. – 2:45 p.m.
Dinner 3:15 p.m. – 9:00 p.m. Hours: Breakfast 8:00 a.m. – 11:10 a.m. Lunch 11:55 a.m. – 3:30 p.m.
Dinner 4:55 p.m. – 8:35 p.m.
We stumbled onto our first Disney World Character Dining experience and had a magical time. Hours: Breakfast 8:00 a.m. – 10:30 a.m. Lunch 11:30 a.m. – 3:00 p.m.
Dinner 4:00 p.m. – 8:30 p.m. Hours: Breakfast 8:00 a.m. – 10:20 a.m.
Silver Screen Dine, January 7, 2019 – March 10, 2019, Join Minnie Mouse for a fabulous dinner party celebrating the glitz and glamour of Hollywood! Springtime Dine, March 11, 2019 – June 2, 2019, Shake off the chill of winter with a party to welcome the beautiful wonders of spring! Summertime Dine, June 3, 2019 – August 25, 2019 , Head to Hollywood & Vine where Minnie Mouse and pals are hosting a beach-inspired party! Halloween Dine, August 26, 2019 – November 3, 2019, Visit Minnie’s favorite happy haunt for a spooktacular Halloween feast that’s frightfully delightful. Holiday Dine, November 4, 2019 – January 5, 2020, Deck the halls at a dazzling dinner party filled with holiday cheer and the joy of the season! Hours: Lunch 11:20 a.m. – 3:00 p.m.
Dinner 3:20 p.m. – 7:30 p.m. Hours: Breakfast 8:00 a.m. – 10:55 a.m. Lunch 11:00 a.m. – 3:30 p.m.
Dinner 3:35 p.m. – 8:00 p.m. I want to thank fellow blogger Kristen Dyer for providing me with the photos of Askershus and Tusker House that made this post possible. What are your favorite character meals and why? Let us know in the comments below or on Facebook or Twitter!